I started working out when I was 17 years old, just like the typical newbie I want to be noticed, to be strong and look good. My goal is simple but the price I have to pay is literally beyond money can buy. I look up to my older cousins who are also into bodybuilding, they were already big and strong at that time but we don’t talk much about weights. I don’t even know where their gym is! I also don’t know of any gym anywhere. I started training in my room everyday for 2 months, doing push ups, sit ups, curls and every move I could think of using whatever is available from old typewriter box to water jugs. Im not genetically blessed, im thin, skinny fat, thick skinned and have scoliosis which is becoming more obvious as I grow. So basically despite the lack of knowledge and genetic potential I prepared myself for the challenge even before hitting the gym for the first time. When I started to formally train in the gym, I did all the stupid stuff, train for 4 hours, all chest workout, no formal back and leg workout etc. I eat crappy food because that’s all I can afford, my sleep is no big deal for me and i have no supps (although I see supps as magic beans during that time). The huge guys in the gym are all bullies, they take my bars, my dumbbells, my plates and don’t respect my workout so I ended up in the corner waiting for them to finish. I moved into a small garbage type gym that is open as long as there is some one inside. I trained there at 12am so I have the freedom to train my way. For years I experimented on training and diet. I trained while injured, I trained with lack of sleep, I trained hungry but every possible setback is not an excuse for me. I did whatever it takes! I was consistent, until one day I noticed that I am not the old me anymore. I felt that I could be more than myself as long as I don’t stop working hard. I started to pay attention to every detail I need to improve, the simple goal turned into a passion. I was able to use my frustrations and insecurities to my advantage and killed it for good! I know nothing about bodybuilding when I started but I don’t regret all the stupid things I did. Im sure that I could have made things better but nothing can beat experience when it comes to gaining knowledge. I did my homework for sure but science can’t give me strength, ego can’t be flexed and excuses can’t build muscles! Consistency gave me results! I’m not there yet that’s why im taking no days off! 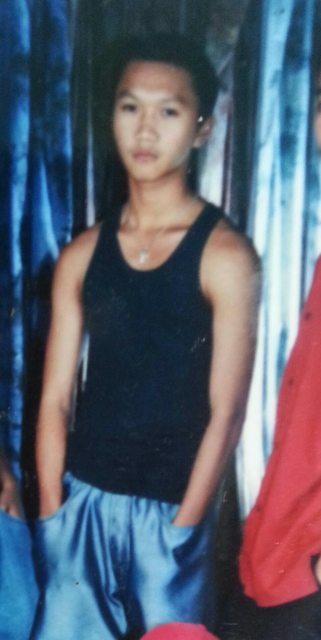 wala akong mahanap na pic from 2006 and below since wala pa akong camera phone dati. 2007-2008 pics naman nasa Friendster at hindi na maretrieve. Sayang! Well documented sana yung progression ko. good luck on your goal sir! just keep us updated on your progress! I'll officially start training and eating on june 3 for my lean mass plan because my weight is still fluctuating by 2 lbs. I took a week off from training coz im a little beat up from the summer prep. i started bringing up carbs after a long deficit. Phase1: eat at maintenance level for 5-6weeks until i feel some size. Phase2:set a lower and upper limit calorie surplus. I'll make adjustments from this point if things doesnt feel right. damn back! see, sayang naman tong ganitong condisyon konti na lang im sure this will place on a comp. Sir milk, im still in the learning process of of nailing my condition. Hirap kasi maintain yung mass pag natty. Nanliit ako sa iba hehe. Kaya my goal is small incremental gains per year so i can keep what i already have. Madami ako napupulot na useful info dito sa site at sa mga experience ng mga members. ganda! im really impressed! keep up the good work and hope you win all of competitions! Thanks brother. Never pa ako nagcompete but someday i will. Maybe because of your height na din Bro kaya magmumukhang 'maliit' ka compared sa iba wherein alam naman natin na karamihan sa mga BB'ers satin eh maliliit talaga kaya they look more compact and massive. But just like what Milk said sayang naman if di ka mag compete in the near future. Salamat sa encouragement mga kapatid. I will list that down in my long term goals but i will start training for that as early as now. Hope to learn from you. 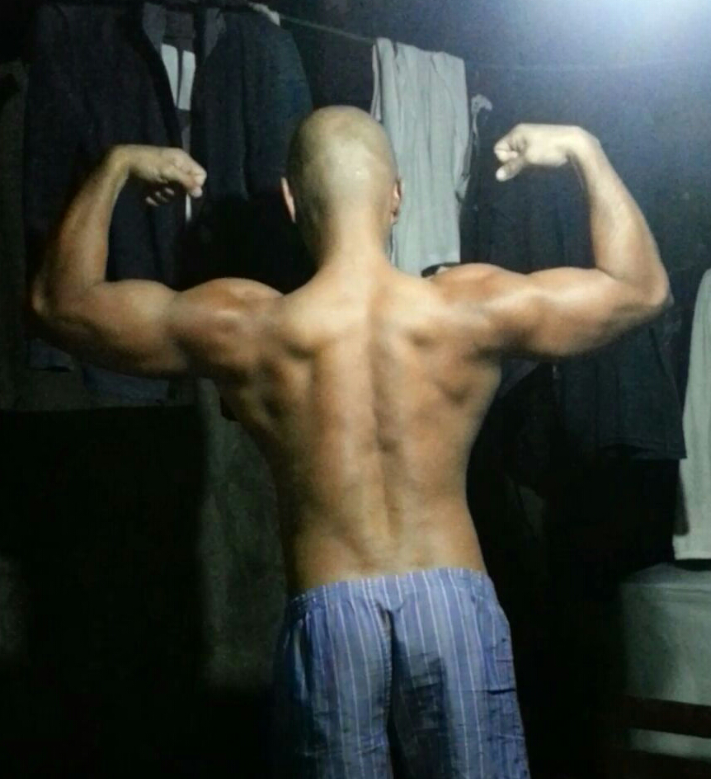 11 yrs in bodybuilding (correct me if I'm wrong baka na-misinterpret ko yung sa right side) bilib ako sayo sir. Madami kasing akala nila ganun kabilis makuha ang goal nila. Sana maging ganyan din ako ka-consistent. @nrg: i dont do 1rep max. But im happy to do double my body weight for reps on BP and DL. except squats kasi i have scoliosis. I rarely do PL style lifting. Im looking to strengthen all muscle groups kasi they are all important to me. Im not into getting strong and ripped or doing PRs and getting below10% bf. I just want to be the best that ii can be and beat that overagain. @allen: thanks man! Consistency and hardwork lang talaga kasi walang shortcut, special program or magic supplement sa gusto natin machieve lahat. 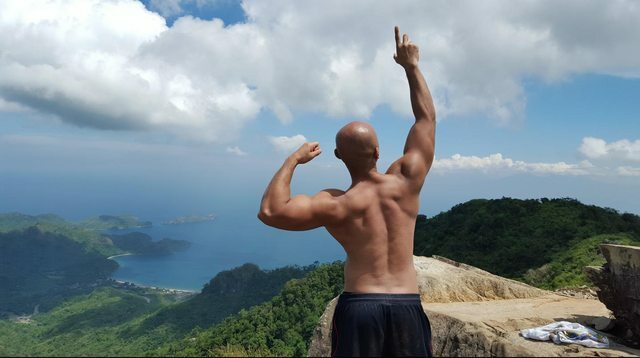 ayos ang physique niyo sir! i am currently eating at maintenance level around 14-15 calories/lb coming from a 12 calories/lb. This is my target for 5-6 weeks until i gradually gain size (2lbs will do). If successful, i will then push my calorie intake to 16-17 calories/lbs to give my body a nice transition and minimize fat gain. So far my strength and performance in the weight room did not drop despite coming from a long calorie deficit. i am looking for strength gains also as a "bonus" to come along while Im on this plan. This is sick sir. Ang lupit niyo po. May mga supps kayong tinatake? (Fish oil etc.) Tsaka ano trabaho niyo, kung outside the gym? @japolifts: i work in bank midshift pero i train a couple of guys in the morning as my side job. shempre this is my passion so I share some knowledge to other people. Yes, I use supps, whey, fish oils, multi and preworkout supps. That’s it , nothing fancy.. enough lang to support my training and health. @ jettie: 300 grams yes! Because I came from cutting so my protein is that high tapos my carbs before are low. Pero I will eventually drop that as I increase my calories towards gaining mass tapos up my carbs and fat intake. The reason why you need more protein during a cut is to protect your muscles from shrinking kasi its useless to cut fat and lose muscle at the same time (that’s very common). Just make sure that your total calories for the day will still result to a deficit kahit mataas protein intake mo. Adjust your carbs and fat accordingly if you will up your protein to 200-220 grams. Yes sir, noted and currently ginagawa ko is minimum ko yung bw per gram na protein pero madalas nasa 170-200 at my current weight 130lbs. Sa ngayon yan lang kasya ng budget since I eat my food with supps hehe.. Pero at your current frame siguro need talaga ng ganyang numbers hahahaha. your protein looks sufficient for you, no need to go crazy high anymore. I've tried IF before and still applying some of its concepts depending on the situation. does it work? yes, but nothing spectacular compared to my current diet methods. the important thing really is you stick with your plan day in and day out (SET & NAIL YOUR MACROS). it's really hard to tell if the diet will work unless you give it time to work pero mahirap din umasa sa wala. iba iba kasi tayo ng katawan kaya pagaralan mo mabuti how your body responds to the diet, with the food (allergies and bloating etc.) and training you do (your training should be specifically designed for your goal. dont just lift heavy and consistently. train for a specific look you want to achieve). Lastly, be honest to yourself if you are not happy or half satisfied with the results.